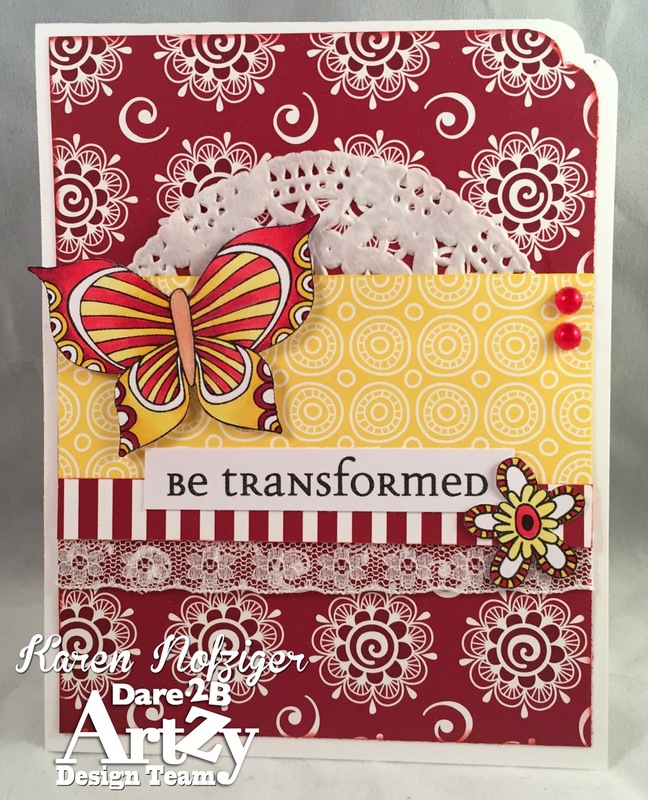 It's my day over at Dare 2B Artzy, and today, I'm sharing this FuN and Artzy card made for one of the students I work with. She's been an amazing worker, and she's about to graduate. I think this card is perfect for that occasion! 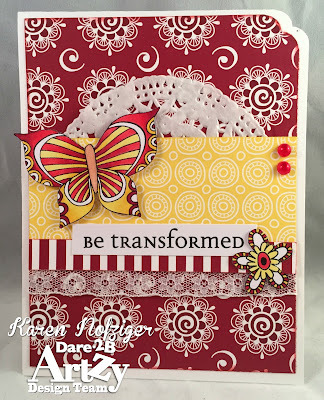 I used the Butterfly Inspiration Stamps and Artzy Doodles Paper. I colored with the Copic markers: R35, R37, R37, Y00, Y02, Y15, Y18. I added some pearls, lace and a doily! Thanks for stopping by today. 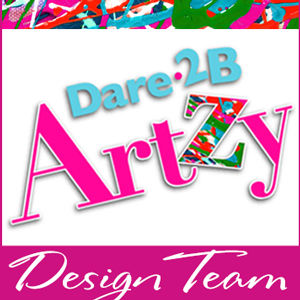 Before you leave, be sure to "like" the Dare 2B Artzy Facebook Page! I love the gorgeous butterfly & paper. Such a beautiful card. She will love it!